We are a full-service Interior Design firm offering our clients curated interior spaces that display layers of unusual texture, color, and verve. Our design firm includes 15 Designers, Project Managers, and Draftsmen with a combined 75 plus years of acumen. We have designed and renovated Residential and Commercial projects throughout the United States, Europe, and the Caribbean for the past 20 years including many homes and apartments, lobbies, as well as 38 stories of public space in two apartment buildings, medical offices, a large day spa, an upstate museum and boutique office. We also work hand in hand with top Residential and Commercial Developers as design consultants offering our design expertise and management services. Eric’s search for the perfect pieces to complete his interiors has inspired him to design many of his own products. 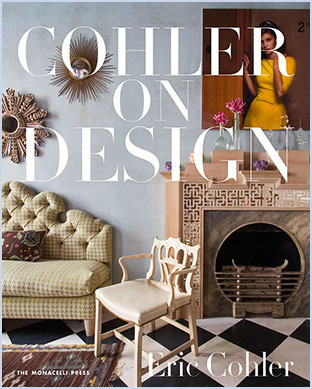 Vendors across the industry have sought out Eric Cohler designs, and his product lines include lighting, carpeting, fabrics, and furniture.